The bright airy feeling you get as you enter this well kept home follows you throughout the wide open floor plan. Leading toward the ROTUNDA is the office/den with FRENCH doors perfect for a quiet area to work or relax. A huge kitchen with 42"" WOOD CABINETS, stunning GRANITE & STAINLESS GE appliances will certainly be a gathering place for friends and family. Seating arrangements in the FORMAL DINING ROOM, eat-in kitchen and breakfast bar easily accommodate large dinner parties. The ENORMOUS GREAT ROOM leads out to a trussed porch through triple sliding doors. All 4 bedrooms are downstairs. The spacious Master suite offers HIS & HERS WALK-IN CLOSETS, DUAL SINKS, a large WALK-IN SHOWER and a relaxing SOAKING TUB to wash the stress of the day away. Two bedrooms share a JACK & JILL bathroom and the 4th bedroom, with a WALK-IN CLOSET, shares the guest bath. Upstairs, the MASSIVE BONUS ROOM with a FULL BATH could be used as a secondary master, a retreat for guests or the perfect game room. There are multiple builder upgrades including ENGINEERED HARDWOOD floors throughout the main floor, PORCELAIN TILE in wet areas, CROWN moulding, TRAY CEILINGS and RECESSED LIGHTING. Conveniently located in the laundry room is the hub for telecommunications-prewired for cat-5 and cat-6, security and surround sound. 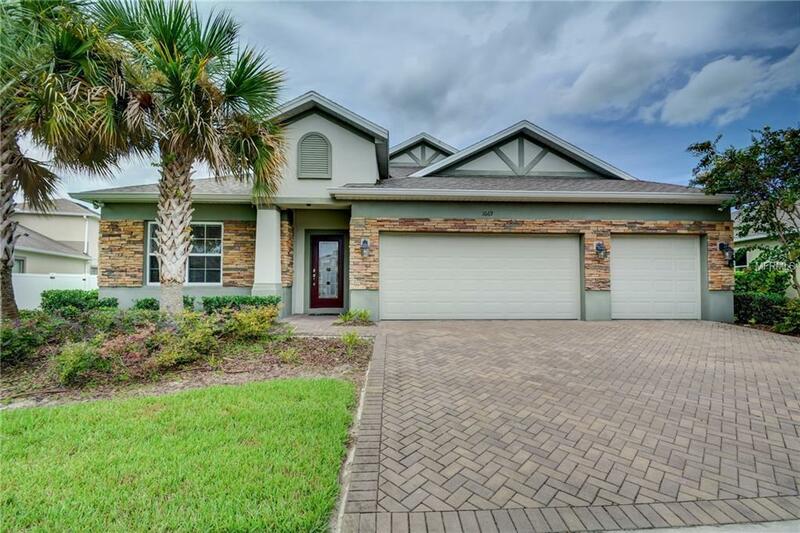 Close to I-4, Stetson University, & award winning downtown Deland, this popular Emerson model in desirable SADDLEBROOK is ready for you to call home. Be sure to click on custom "tour" buttons.